Review: Founded in 1852, Antioch College is located in Yellow Springs Ohio and has pioneered progressive education in a unique liberal arts experience within the higher education community. Its heritage grew from the philosophy of its first president, Horace Mann, who introduced the college motto: "Be ashamed to die until you win some victory for humanity." This determination informs the lives of the thousands of Antioch graduates who are challenging old customs and breaking new ground throughout the world. 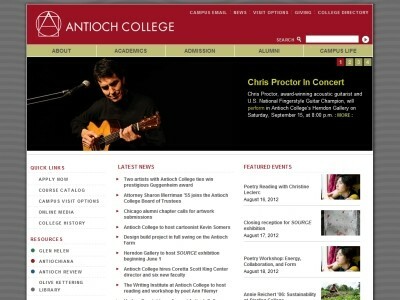 Location & access map for "Antioch College"